Nancy C. Miller, age 84, of Storm Lake, Iowa and formerly of Albert City, Iowa died March 13, 2018 at her home in Storm Lake. Funeral Services will be held Monday, March 19, 2018 at 10:30 a.m. at the Evangelical Free Church in Albert City. Burial will be in the Fairfield Township Cemetery in Albert City. Visitation will take place from 4:00 to 6:00 p.m. on Sunday, March 18, 2018 at the Sliefert Funeral Home in Albert City. The Sliefert Funeral Home in Albert City is in charge of the arrangements. Nancy Carol Warnock, the daughter of Oliver and Marian (Parker) Warnock was born at LeMars, Iowa, on March 30, 1933. She lived her youth and received her education in Storm Lake where she graduated from the Storm Lake High School. Nancy continued her education at Buena Vista College for two years where she received her teaching certificate. She taught 5th grade at Battle Creek and Laurens for one year in each community. In her younger years, she was a member of the First Baptist Church of Storm Lake. Nancy was united in marriage to Duane Miller on June 20,1954 at the First Baptist Church in Storm Lake, Iowa, and this marriage was blessed with three children: Kim, Jill and Sheila. During the first years of their marriage, Nancy and Duane attended the Our Savior’s Lutheran Church in Albert City where she was the bell choir director. She had been raised as a “town girl” but after marrying Duane, she developed a love for the farm, raising her family there and being a farm wife and all that it entailed. In 2015, the Miller family celebrated their farm being designated a Century Farm at the Iowa State Fair in Des Moines. The farm was established in 1915 by Duane’s grandfather, C. B. Miller. 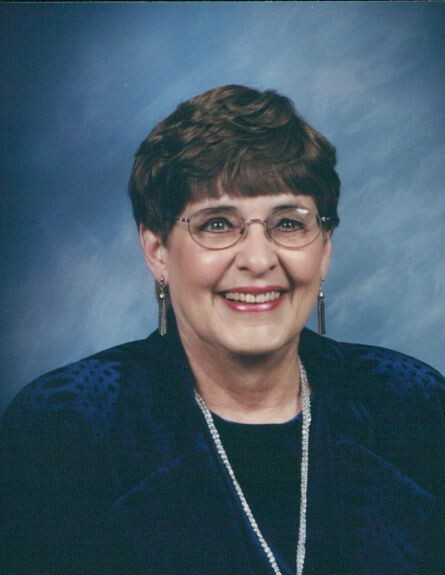 Nancy was a very active and committed member of the Albert City Evangelical Free Church where she had sung in the church choir and was a Sunday School teacher. Nancy accepted Christ as her Savior at a young age and church attendance and involvement in its activities were a lifelong priority. She served as a guide for the Friendship Bible Studies through the Christian Women’s Clubs in Storm Lake, Albert City and Marathon. Several of Nancy’s favorite pastimes included reading, playing the piano and playing bridge. She had the gift of hospitality and entertained and cooked for her family and friends. She and Duane enjoyed watching their son, Kim, compete in motocross competition where he was one of Iowa’s top riders. Nancy and Duane loved to travel throughout the United States by car as well as trips to Mexico City, Europe and Canada (from Vancouver to Quebec) and by train to Niagara Falls and Quebec. They also spent five years as “snowbirds” in Casa Grande, Arizona. Duane and Nancy have made their home in Storm Lake since 2012. Nancy’s life is cherished and honored by her family which include her children: Jill (Ken) DeYoung of Laurens, Iowa, Sheila (John) Arnot of Winterset, Iowa, her daughter-in-law: Colleen Miller of Albert City, Iowa, her grandchildren and great grandchildren: Heath (Shaylyn) DeYoung and their children: Josiah, Caitlyn, Adelyn, Keegan and Taelyn of Pocahontas, Iowa; Mark (Kari) DeYoung and their children: Eli, Kanen, and Jase of Huxley, Iowa; Nicholas Miller of Albert City, Iowa; Rachel Miller-DeGeyndt and Lieven DeGeyndt of Washington, DC, Jonah Arnot of Portland Oregon, Kaila (Scott) Mowry of Des Moines, Iowa, her brother: Tracy Warnock of Ankeny, Iowa other extended family and many friends she made throughout her lifetime. She was preceded in death by her husband of 63 years, Duane, on January 5, 2018, her parents: Oliver and Marian; her beloved son: Kim, her sister and brother: Donna Dwyer and Michael Warnock, other extended family and many lifelong friends. In lieu of flowers, memorials may be given in Nancy’s memory to GoServ Global.